What’s the verdict: If you go down to the woods today, you’re in for a cosy surprise. Yep, Blair Witch goes The Force Awakens route, aping the original while providing fresh tweaks, and is proof positive dank chills can still provide a warm glow of nostalgia. 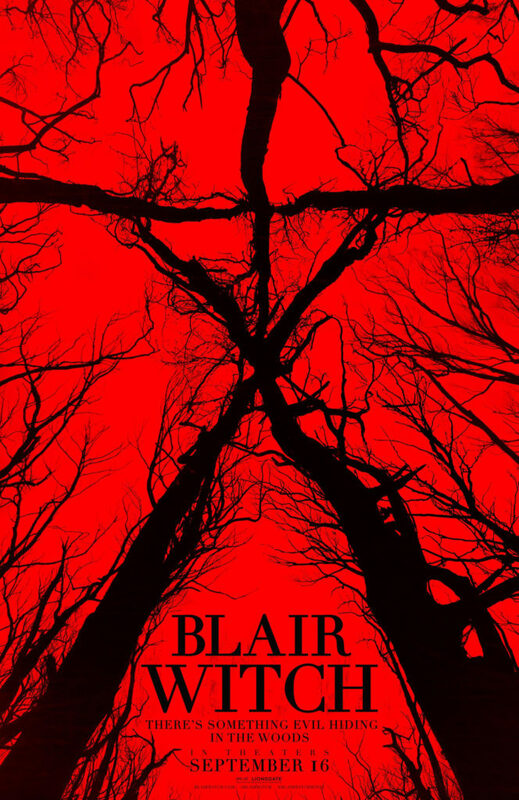 For a follow-up to the film that practically invented viral marketing, it is fitting that a movie originally titled The Woods rocked the internet when revealing itself as a new instalment of The Blair Witch Project. And if you’ve forgotten about the 2000 sequel Book of Shadows, don’t worry, so has everyone involved here. A direct sequel to the groundbreaking horror phenomenon, this Blair Witch is a family affair. 20 years after Heather Donahue and her friends vanished in the creepy woods near Burkittsville, her brother James (McCune), and friends Peter (Scott), Ashley (Reid) and budding filmmaker Lisa (Hernandez) journey into the forest to find her. They are joined by locals Lane (Robinson) and Talia (Curry), offering to act as guides. But, it is not long before things go bump in the night and the cameras start shaking. 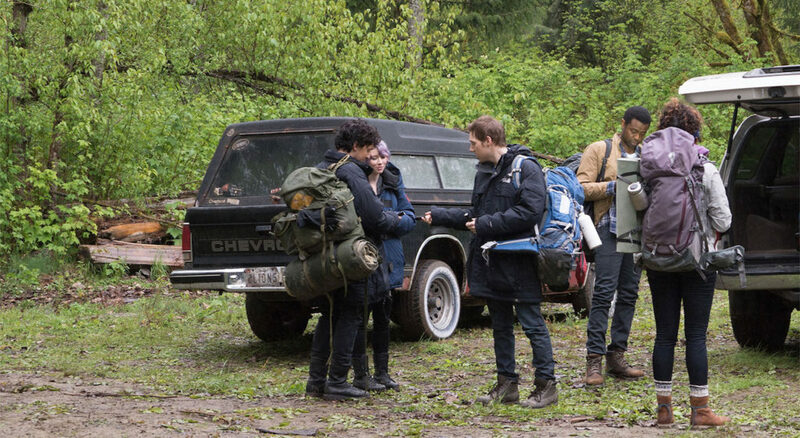 Sticking closely to the template set by the original movie, Blair Witch’s fresh addition to the found footage genre is wearable recording equipment – everyone has a camera hooked on the ear. This removes the question, why are they still filming instead of running, and high-wattage camera-mounted torches provide an excuse for lugging equipment around. Also, an unstated, but easily inferred suggestion that narcissistic millennials cannot help but film everything they do raises a wry smile. Director Wingard and writer Barrett (the filmmaking duo behind accomplished chillers You’re Next and The Guest) are happy to provide a jukebox mix of traditional found footage frights and haunted house runarounds. Both of which seem slightly old-fashioned when placed against the best found footage films you’ve seen (Cloverfield, er, The Blair Witch Project), those you’ve heard of (REC, Trollhunter) and those you’ve not heard of but definitely should check out (Found Footage 3D, The Borderlands). Blair Witch also indulges that aggravating Paranormal Activity plot hole that no-one watches what they’ve filmed for clues (something even Book of Shadows did). But, the filmmakers are too talented to make anything less than an efficient thrill machine, and the movie delivers bouncy Friday night horror flick jolts. Good horror mileage is drawn from the chilling stick figures lifted from the first movie, while both time and space are inventively melted as things begin to get very dark. With an increased budget (remember, the original cost $60,000 and grossed $249m), Wingard can also deliver spectacular shocks, gross-out body horror and an upgraded setting for his climax. 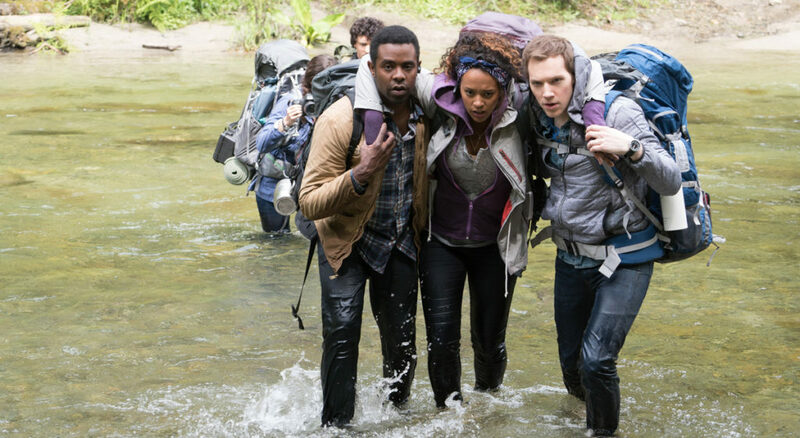 Characters here are blander than the original trio, but are pleasingly put through the wringer as the film amps up the cold, the wet, the horror and, quite literally, the claustrophobia. The creepiest moment however is a drone shot rising far above the trees… to reveal nothing but more trees. If nowhere has a middle, this is it. An effective enough revisit then, but 10 Cloverfield Lane proved unexpected sequels’ knockout surprises don’t have to start and end with the release of the first trailer.